At the annual banquet of the American Chamber of Commerce Taiwanese President Ma Ying-jeou acknowledged his country’s economic achievements and welcomed the possibility to join the Trans-Pacific Partnership (TPP). He also recognised the positive impact of economic rapprochement in the region, stressing that, despite remaining political disputes and tensions, Taiwan can play the role of peacemonger thanks to economic bilateral agreements with its neighbours. Taiwan's next major goal is to elevate its chances to join the Trans-Pacific Partnership (TPP), President Ma Ying-jeou said yesterday [11 March 2014] at an event for U.S. business representatives. The American Chamber of Commerce (AmCham) in Taiwan held its 46th annual Hsieh Nien Fan (謝年飯) banquet yesterday [11 March 2014] as a way to express gratitude to Taiwanese government officials and to celebrate the milestone of achieving 1,000 members this year. Chairman Thomas Fann (范炘) lauded the ties between Taiwan and the United States, noting that as the relationship develops, the two sides will be looking to discuss the possibility of negotiating a bilateral investment agreement in the Trade and Investment Framework Agreement (TIFA) talks, which will be held this spring. Fann congratulated the chamber on the biggest Hsieh Nien Fan turnout in recent years, thanking the participants for showing support for AmCham. “We are very grateful to the many government agencies we have cooperated with, from the working level to the very top,” said Fan. “One of Taiwan's greatest assets — one certainly not found in every country — is the willingness of its public officials to engage in dialogue with the industry for the benefit of the economy as a whole. Fann also noted that the economic relationship between Taiwan and the United States has strengthened over the past year  following the resumption of the TIFA talks last March. Ma opened his speech by saying that he was much encouraged by Fann's words. “For the past 36 years, AmCham has contributed to Taiwan's economy in many ways,” said Ma, who lauded AmCham's annual White Paper and its recommendations that the Ma administration frequently turns to for advice. 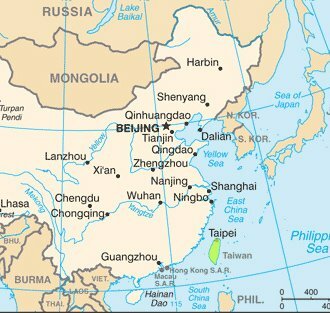 Ma noted that despite the political disputes occurring in Asia, including the tense relationship between the two Koreas, mainland China and Japan's disputes over the Diaoyutai Islands and arguments in the South China Sea, Taiwan's best course of action is to act as a peacemaker in the region. “Cross-strait relations before 2008 were unstable at best, and I said to myself that the issue should be given top priority if I became president. So, Taiwan immediately resumed talks with China after (my election), on the basis of the (so-called) '1992 consensus.' Many had joked that the consensus was a masterpiece of ambiguity, but at least it is working,” said Ma, who stressed that the two sides have concluded 21 agreements so far and the relationship has progressed greatly and on a positive scale, including the increased number of direct flights to China and the joint efforts to capture criminals on the run in mainland China. After ending the Kuan Ta Hsing No. 28 dispute with the Philippines, during which a Taiwanese fisherman was shot dead, and the signing of numerous agreements with countries including Japan, New Zealand and Singapore, Taiwan had become a peacemaker in Southeast Asia, according to Ma. With all the positive progress Taiwan is making, the president reiterated his wish for Taiwan to be able to join the TPP and also the Regional Comprehensive Economic Partnership (RCEP) in the future, as his goal for 2014 is for Taiwan to achieve economic breakthroughs. “I am thankful for our U.S. friends for backing up Taiwan's bid to join the TPP, and I hope we are able to sign more free trade agreements in the future,” Ma concluded. The Acting Director of the American Institute in Taiwan (AIT), Brent Christensen, also congratulated AmCham for its contributions to the U.S.-Taiwan relationship, and lauded Taiwan for its role as a regional leader and the talented and creative people the island is home to.